The audience for this message started as immediate family but when I started adding friends I kept selecting additional names. Put a sly smile (or smerk) on your face - that's the tone I'm writing this tale. Enjoy! So, we know that it takes Jim three trips to the grocery store to make simple 'boxed brownies' (some on this e-mail may not know that story but, yes, last summer it took me three trips to the grocery store to assemble all needed items to make BOXED brownies - the first for the brownies, the second for eggs, the third as the oil I had was several years old). 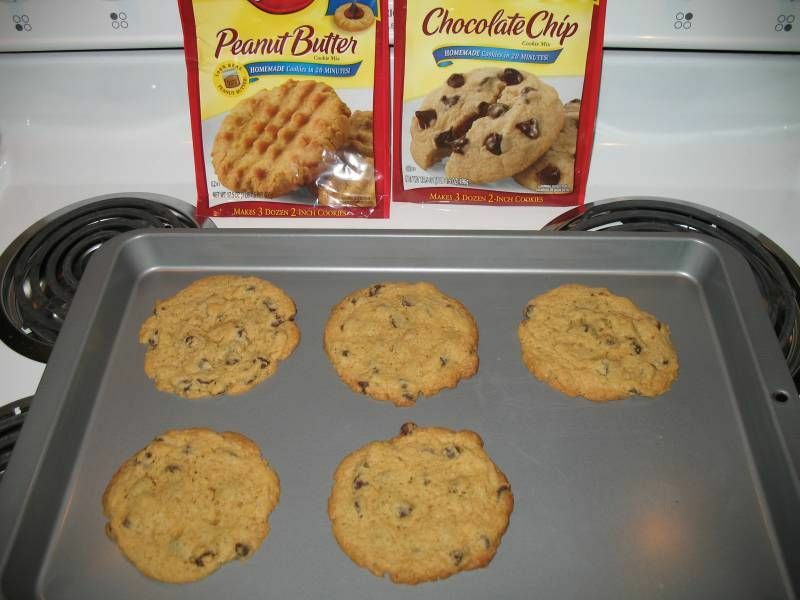 Several days back I was at K-Mart (NOT a grocery store [as in what they sell should be inclusive such that I would not need to make a trip to another store]) and picked up a couple PRE-MIX bags of cookie mix - chocolate chip & peanut butter. They're "homemade cookies in 20 minutes". In my hand and off I go. No idea if they'll be as good as Mom makes but I should enjoy the first bite nonetheless. A couple days later I figure I have enough time to bake up one pack, if not both. Out they come and I flip them over to read the directions for the oven time & temp. Stick the packages away for another day ...and a second trip to the store - this time a GROCERY store for eggs. Four bucks for Egg Beaters (equivalent to seven eggs) or one buck for six real eggs. Simple answer but now I'll have four eggs left over (to eat or toss). With the weather warnings for Illinois I figured I'd call Mom and Dad and see what's up. Talking on the phone, I'm working at getting the items out to assemble the mixes; spatula - check, mixing bowl - check, cookie sheets - check. I tell Mom what I'm doing and she comments - "oooohhh, honey, bring ONE cookie home, we'll make it an ornament and put it on the Christmas Tree" (Jim and cooking does have a disconnect theme). Mom asks what type and I mention chocolate chip and peanut butter. 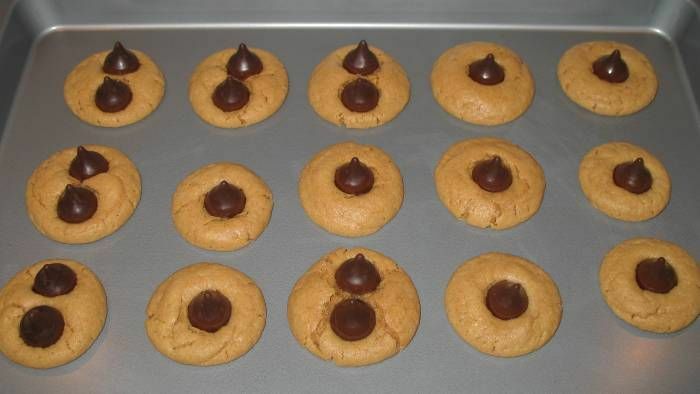 She mentions peanut butter blossoms (a typical Christmas time cookie) and a light goes off in my head (reinforced by the subconsciously remembered peanut butter blossom cookie picture on the front of the mix bag) - I don't have, and now need, chocolate kisses!!! At this time of year "regular" peanut butter cookies just wouldn't be right (just ignore the thought that I had no plan on kiss cookies until Mom mentioned it). Turn the oven off (`twas on for but a minute or two), hang up, head back to K-Mart. Three's a charm, yes?! Over to the candy isle, a short isle or two from the start of this tale. There are the kisses. On sale, three bags for seven bucks, the shelf is kinda sparse but there are enough bags of kisses so I grab three and head out. I made it 1/2-way home on this dark winter's eve before breaking open one of the bags. The fingers know the unwrap routine and I pop a kiss into my mouth. Hmmm... That's odd, it's a bit soft, maybe carrying the bags in my hand warmed up the one I ate? 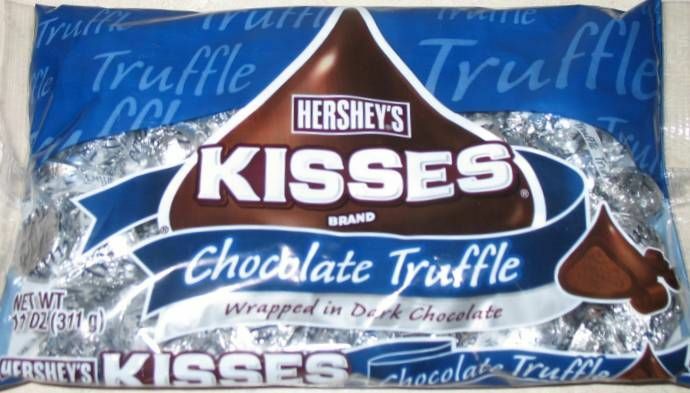 Back at home, in the light of the kitchen (surprisingly similar to the light in the store) I see the "Truffles" name on the Hershey's Kisses bag - DOH - the wrong dang kisses. That's why they were still on the shelf and there was a big open space next to them. Dang it - I'm use'n them!! I'm NOT upping the brownie ante and making this cookie episode a Four Trip Free-For-All. Truffle kisses peanut butter blossom cookies it will be (though with them being softer I'm seeing them simply melting all over the cookie sheet). Well, they are done, but not without a twist. 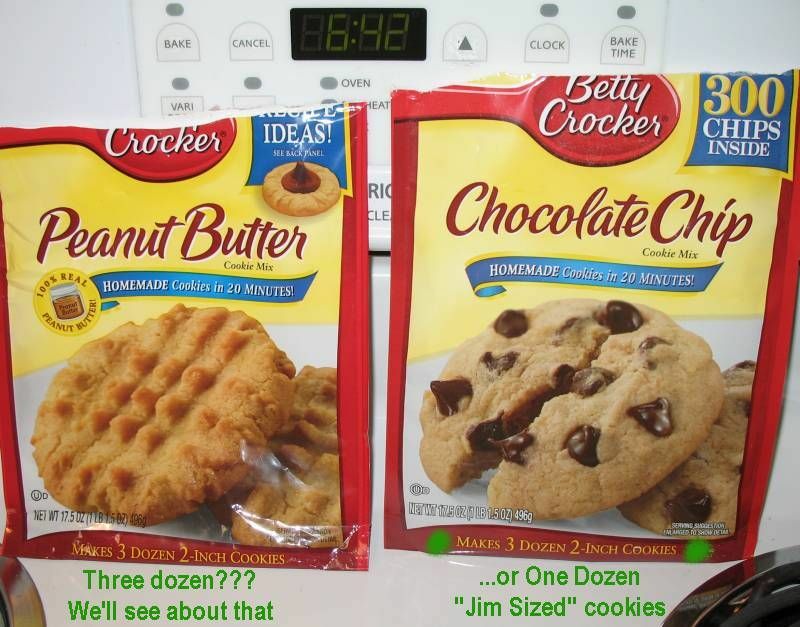 Aside from reading the "main" ingredients list for the peanut butter cookies there is a smaller section of instructions (and ingredient) for the peanut-butter blossom variant. That was read a few moments before the cookie mix was dished out to the cookie sheet - roll them into 1" balls and then roll them in sugar. I, perhaps, have the only kitchen in the U.S.A. that does not have standard table sugar. I was on the fence with a "what the heck - go ahead and make Trip #4 for a bag of sugar just for the story aspect". In the end I made kiss cookies w/o the sugar coating (I should have made the sugar trip). They do look a bit odd. Partly because they do not sport the granular sugar coating but moreso due to the issue that I made the dough balls too large - dwarfing the kiss. When they're "made right" the cookie just barely peeks out from the base of the kiss leading to a near perfect kiss-to-cookie ratio. Placing two kisses on a cookie to make up some of the difference leads to a mutant cookie look. Live-n-Learn. While a cooking event may be an adventure, my solace is that a task in the environment with either a keyboard or a wrench prove decidedly focused and on-point.